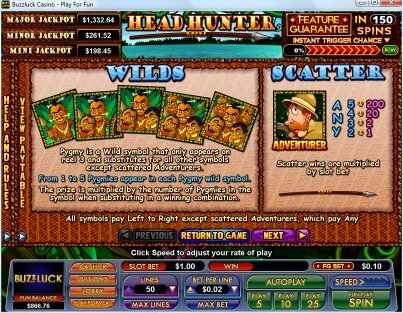 Pygmy Wilds can feature from 1 to 5 Pygmies per wild Symbol with prizes being multiplied by depending on the number of Pygmies appearing on screen. 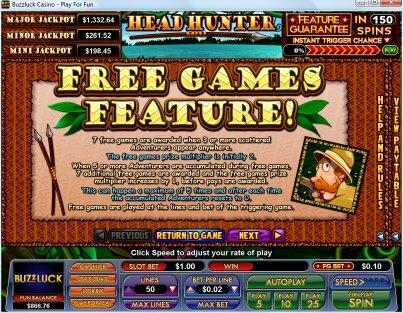 Collect Adventurer symbols during the free game feature to add an additional 7 free games and increased prize multiplier each time 5 are accumulated. 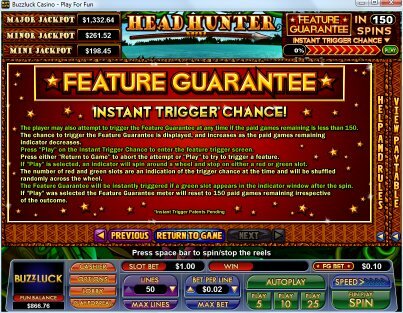 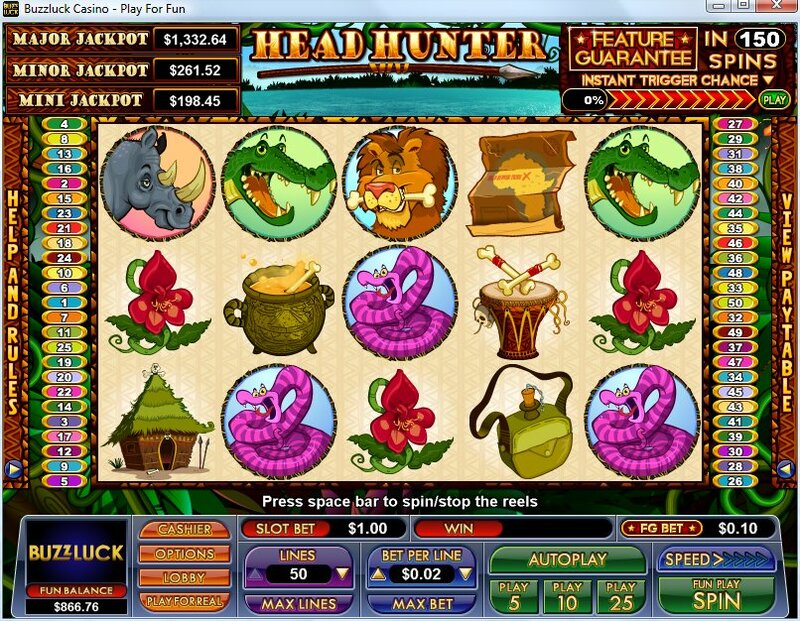 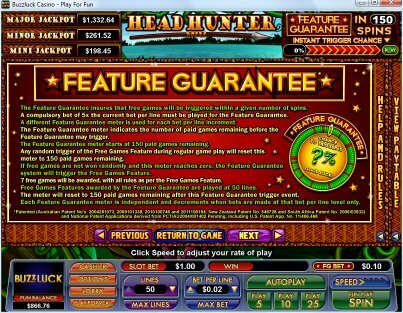 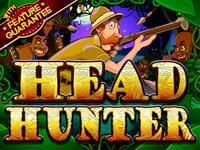 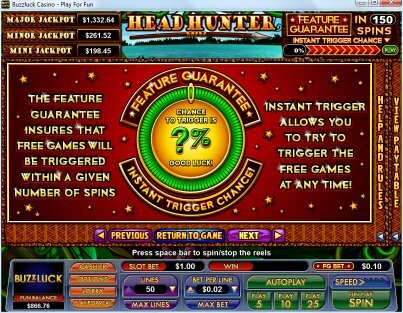 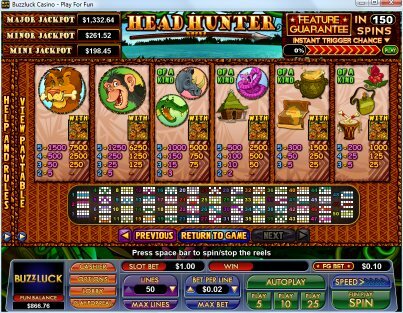 Head Hunter also features the patented Feature Guarantee system, which ensures the free game feature every 150 spins if you don't trigger it randomly. 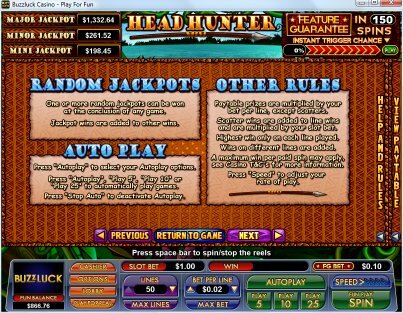 Similar Slots: If you like Head Hunter, you might like these other slot machines from NuWorks: Babushka, Bank Bandit, Batter Up, Birdy Bucks, Camper's Cash, Enchanted Beauty.